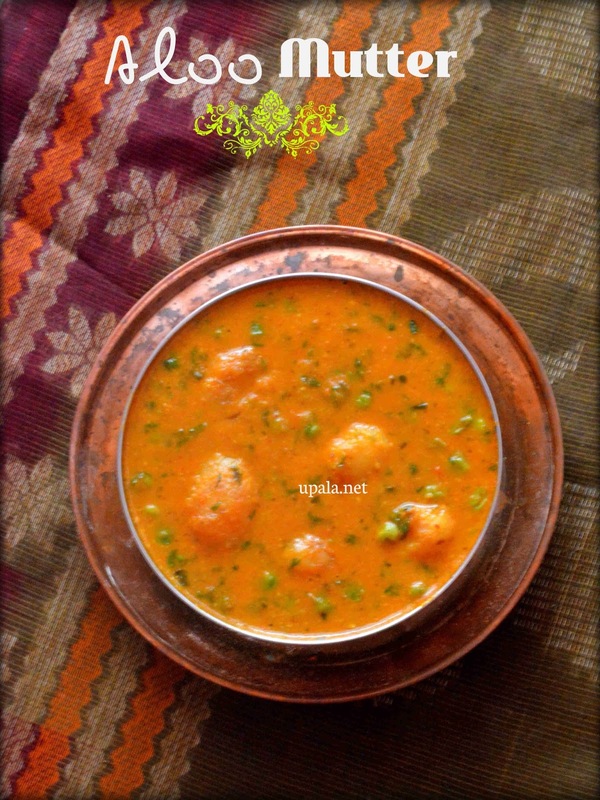 Aloo mutter sabzi/Aloo matar masala/Potato peas gravy is a delicious gravy that goes well Roti, Paratha and Rice varieties. 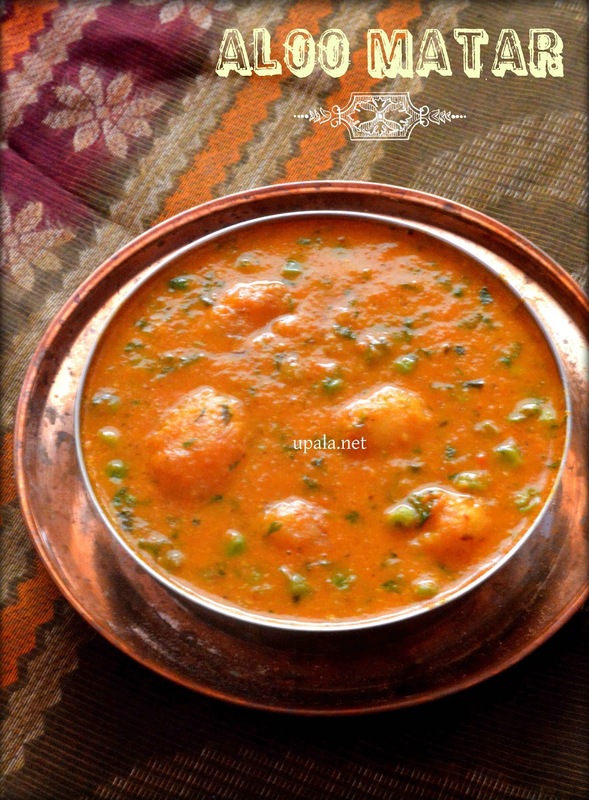 Aloo/Potato and mutter/Green peas makes a wonderful combo and both are favourite for many of us. For this Aloo mutter sabzi, I have used baby potatoes as it is more appealing than the regular ones. If you don't get the baby ones, you can replace by regular ones but by chopping them as big cubes. 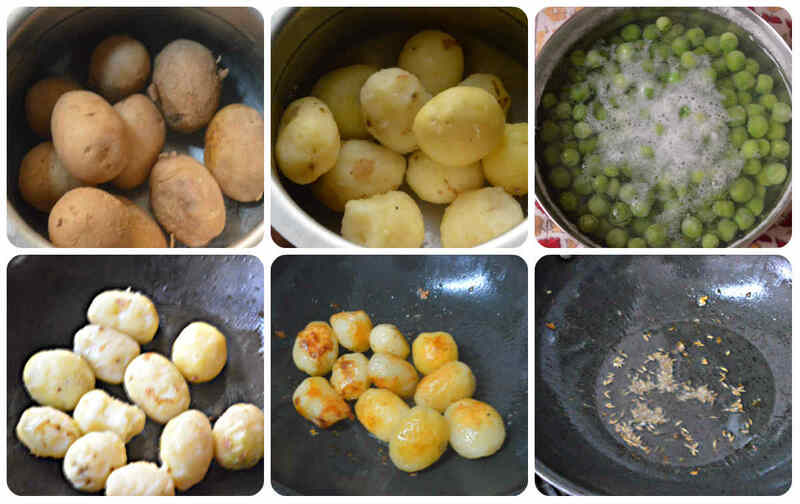 1) Pressure cook the baby potatoes till they turn soft but not mushy. After it cools down, remove the skin and set aside. 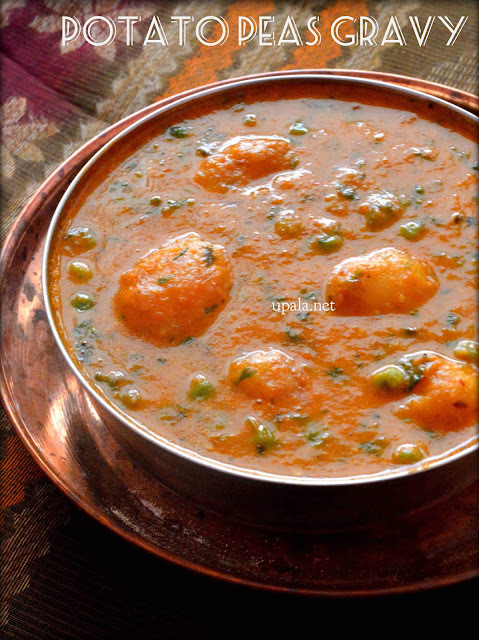 2) Boil the green peas for 2 mins so that it gets cooked but should not turn mushy. 3) Heat 2 tbsp of oil in a kadai and shallow fry the baby potatoes till the outer part turns golden. Transfer the potatoes to a bowl. 4) In the same kadai, add 1 ladle of oil and add cumin seeds to crackle. 6) Add onions, ginger, garlic and fry till onions turn light brown. Next add tomatoes and leave it to get cooked. 7) Finally add Cashews to this onion tomato mixture and leave it to cool down. 8) Grind the mixture to smooth paste. Now heat 1 ladle of oil in a kadai and add this paste. 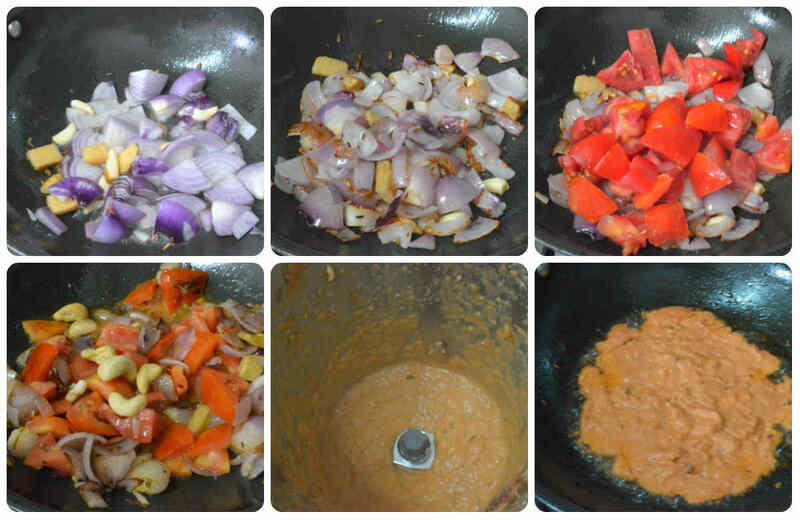 9) Fry the onion tomato paste for 2-3 minutes and add all spice powders, salt, Hing and mix well. 10) Now add the roasted baby potatoes, boiled green peas to gravy and leave it to boil for 15 mins. 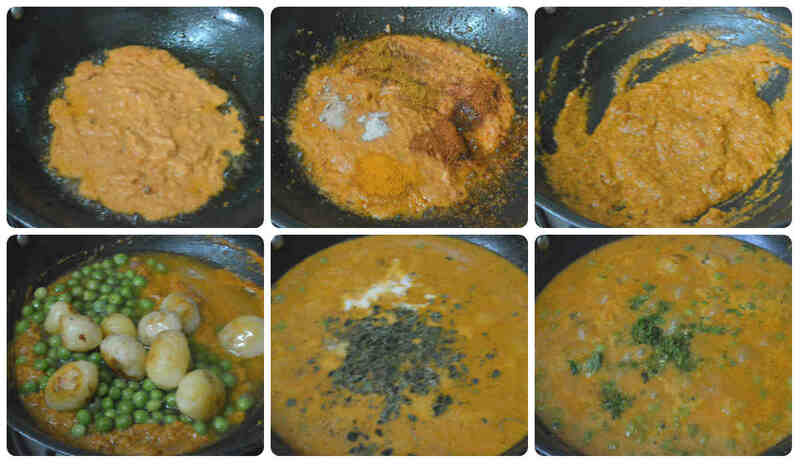 11) Add Fresh cream, Kasuri methi and leave it to boil for a minute. Maintain low flame at this time. 12) Switch off the flame and garnish with coriander leaves. 1) As I suggested earlier, instead of baby potatos you can use the normal ones too. Pressure cook them and peel the skin. Chop them as big cubes and shallow fry in oil. 2) If your green peas are very tender you can add them to hot water and leave it for few minutes. This is enough and no need to boil. If they are matured then you can even leave a quick whistle in pressure cooker. But care needs to be taken so that they don't turn mushy and loses their shape.